The media adore her as a star pianist. 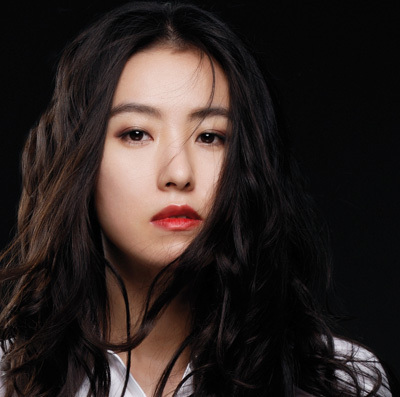 Younee, composer and singer-songwriter from South Korea, has long left her mark, not only due to her unique and virtuoso piano playing. By means of her awesome power of improvisation and that exceptional gift of being able to improvise and to compose freely on a classical foundation, she has defined her very own type of style: Free Classic & Jazz! It is with Younee’s spontaneous and freely composed musical pieces in the course of her breathtaking live appearances that she succeeds to win over her audiences again and again. This is why her next album will feature live-recordings of her most exciting live compositions from concerts between 2017 and 2019. Her first two albums had taken the bestseller charts by storm, catapulting her to the No. 1 position. While her German debut album “Jugendstil” (2014) had still relied on Mozart, Beethoven, Rachmaninoff, and other “classics” as inspiration, Younee, on her next album “My Piano” (2016), by way of her incredible technique and 11 self-penned compositions, had virtually lit brilliant fireworks between furioso and pianissimo, taking the listener on a highly emotional journey into a new world of piano music. Down to the last note, everything happens intuitively, spontaneously, unexpectedly without ever slipping into the realm of “kitsch”, or hiding behind a virtuosity because of virtuosity’s sake. “That’s me” says Younee, who has made her current home in Bavaria. The manner in which Younee presents her music to a live audience does not only have its charm, each time it is as if she were reinventing her own music over again. Younee appeals to a wide audience. Men, as well as women, young and old people alike! They are united by their love of listening to music. And that is all that is needed to fall in love with this artist who has recently been granted German citizenship. Younee, the classically trained Korean pianist, plays – almost – anything, and everything receives her very own stamp. Classic, blues, jazz, or pop melodies, and, yes, sometimes she even sings with a voice that gets under your skin. She presents all of that filled with passionate radiance and charm. Already at the age of five, Younee had started playing the piano and inventing her own little melodies, as she has later mentioned in an interview. She has maintained and improved that ability in the course of her subsequent music studies in Seoul. Today, she ranks among the few international female pianists who can handle the classical métier equally well as she does jazz and improvisation. On “My Piano”, her current album, she has further broadened this diversity. You get a taste of rousing stride-piano as well as of classic, blues, pop, and jazz. Furious runs and fugue themes give witness of the remarkable strength of her themes and songs. They are all self-penned, and they underline how superficial that obsession with categorization and differentiation may prove time and time again. With aplomb and her precise way of playing she casts aside all stylistic boundaries, makes music out of pure passion and for the love of her audience. Before Younee left her home country in order to further develop in England and Europe, she had already gained star-status as a singer-songwriter and composer in South Korea. She has written a string of hits for Korean, and now also German movie projects, songs for pop and rock artists, as well as hits for herself. In England, she used to play with jazz greats, such as Gary Husband, Nigel Hitchcock, Richard Cottle, and Derek Watkins, and she was invited to the illustrious circle of pianists who have the privilege of performing at the “Steinway Festival”.